A sweet from macrobiotics tradition, delicious and light, suitable for all occasions. 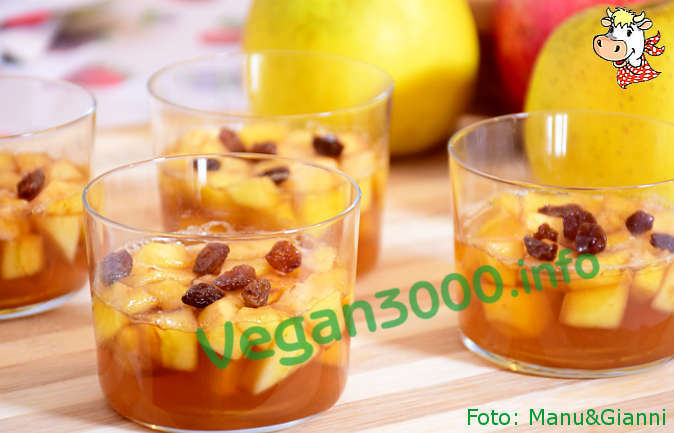 Put the handful of raisins to soak in a little bit of apple juice. Thoroughly wash the apple and cut it into very small triangles. 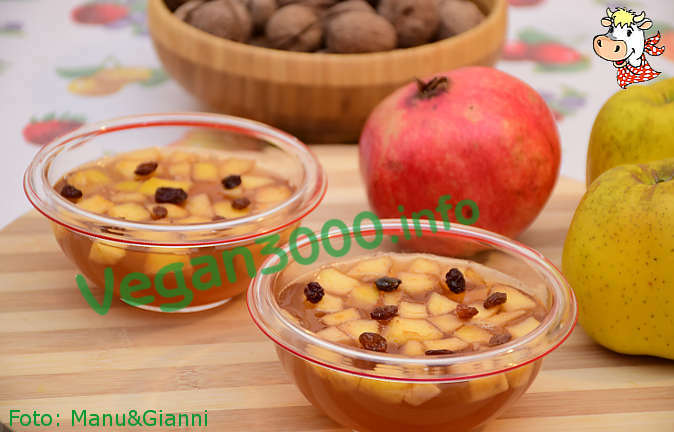 Heat apple juice in a saucepan, add a pinch of salt to enhance the flavor sweet, and a teaspoon of agar powder agar (agar agar is a thickener made from seaweed, that cooling becomes gelatinous). Now add in the cooking pot the apple cut previously into triangles and half the raisins soaked in apple juice. Mix, pour into cups and leave to cool. Before serving, garnish with the remaining raisins. Davvero deliziosa ...provare per credere!!! 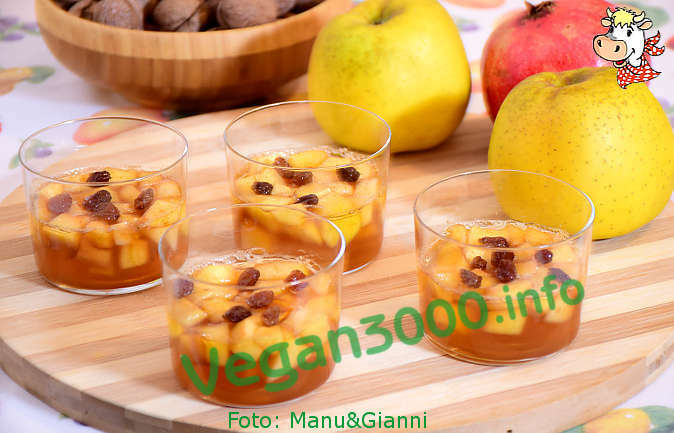 Suggerimento: si può anche frullare parte del kanten per ottenere una mousse da accompagnare al budino.